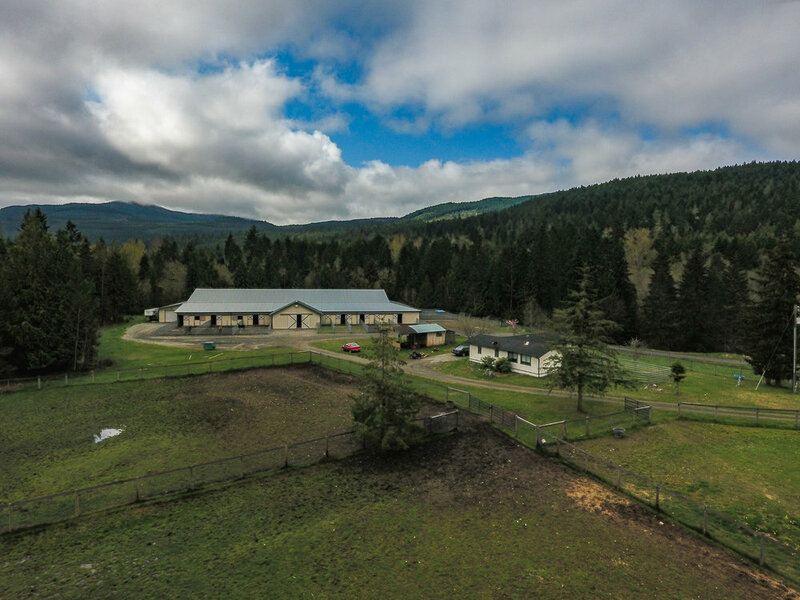 Located at the base of the Olympic mountains in sunny Sequim Wa, Fox Creek Farm is a captivating equestrian property. 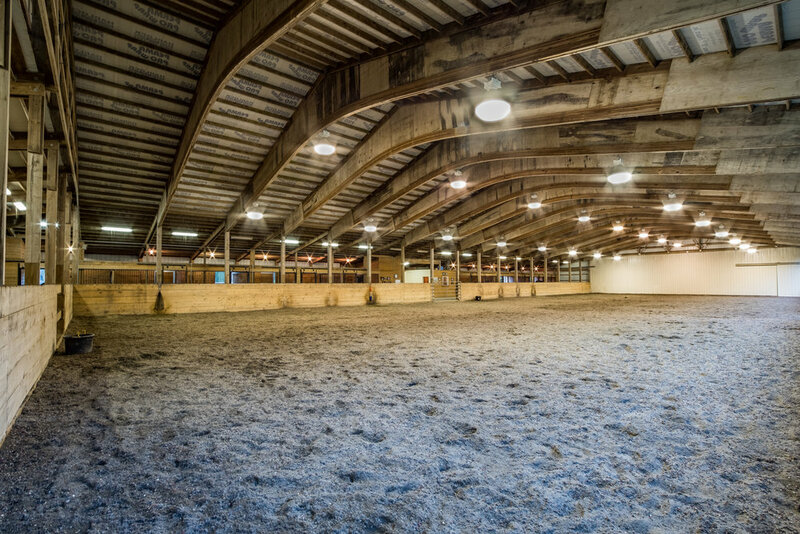 Boasting an 18 stall horse barn with an attached 180'x 80' covered riding area on 19.22 private acres, this Northwest farm is one of a kind! Located in the serene Lost mountain area. This privately gated estate is approximately 15-20 minutes from the heart of Sequim. Nearly 20 acres of evergreens, pasture, and plenty of wildlife along with a 1,344 Sq foot cottage and a large barn with stables and a covered arena. Built in 2005/2006. This large approximately 26,000 sq foot facility was built with excellence and upmost attention to detail. With a 180'x80' riding arena. Professionally installed arena base and sand/nike footing. Aisle lights, stall Lights, exterior lights, arena lights. Two heated tack rooms, heated bathroom with washer and dryer hookups and an additional heated storage room. 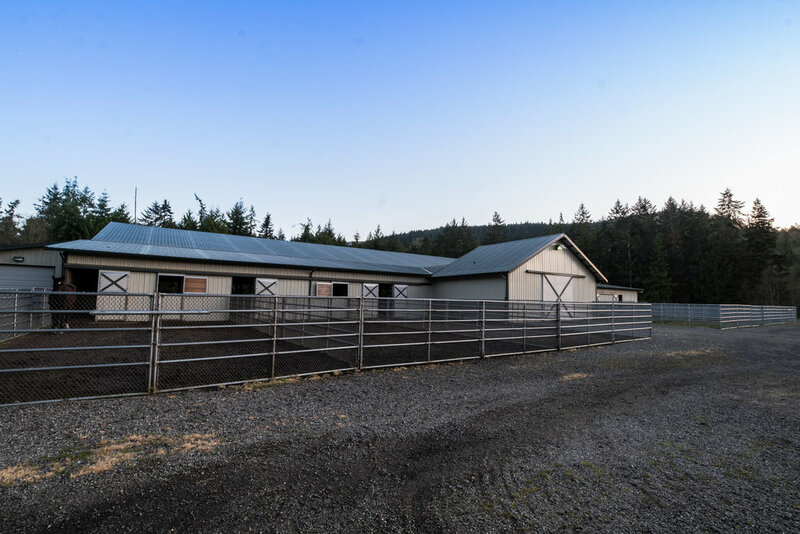 Multiple washing stalls with hot and cold water, grooming stall, and three additional stalls that can be converted to broodmare stalls. Built in 1997. This 5 bedroom 3.5 bath home sits on 40 private acres. Large southern facing windows that overlook the pasture and the mountains above. Just under 3,000 sq feet this home has vaulted ceilings, French doors that lead out to the deck overlooking the mountains, a large kitchen that opens into the dining room and then into the living room. Wood stove for those crisp cool fall and winter evenings. Wired for a generator. There are 2 barns located on the property, a chicken coop and a pond. A detached garage with a finished loft and 3/4 bathroom. This cozy 2 bed/2bath caretakers cottage is 1344 sq feet. New roof installed in 2005, new gutters, new wood stove, hearth, and Chimney, new carpet, flooring, and electrical and plumbing work done all in 2005. 100 gallon holding tank with triple Ozone water filtration system installed in 2006. Ductless heating/ cooling system installed in 2015. Exterior paint in 2017. This home is just a hop skip and a jump away from the main Barn. 19.22 Acres located near DNR property and a short drive to Olympic National park. Two tax parcel #’s leaving the potential to build your dream home (Buyer to verify). Long private driveway and custom gated entry. - Approximityly 26,000 Sq Feet. - 18 Stalls, All stalls matted, 12'x 12' with attached either 12'x 50' or 12'x 60' gravel paddocks with Nobel Panel fencing along with attached Chain link. - Each stall has power outlets for use of heated water tubs in the winter. 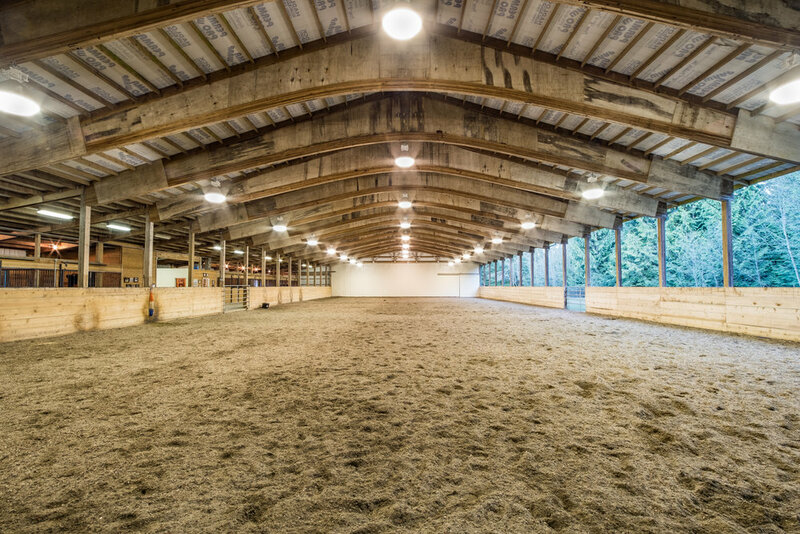 - Fully lit barn, exterior lights, aisle lights, stall lights, arena lights. - Covered 180'x 80' arena, arena base and sand/nike footing professionally installed by Efficient Arena Inc.
- Extensive pasture fencing, 5' tall, No climb wire, penta treated round posts and centaur rail on top. Heavy duty gates with mesh, lockable sure latch. Seven separate pastures, two have adjoining gates. - Barn is also wired for security system (Cat5) but they were never installed. - Two heated tack rooms. - Heated bathroom with washer and dryer hookups. - Additional heated storage rooms. - Two water systems, heated system for winter and regular system with spigots at each stall. - Large Hay barn with roll up door, hold/cold water, sink, lights. - Two wash stall with hot and cold water. - Large gravel area for maneuvering horse trailers and plenty of parking space. - Access to miles of trails up Slab camp rd. nearby DNR land or trailer a short distance to get to the Olympic National Park. A property designed to make the everyday extraordinary. - Two barns in the pasture near the home. - Detached garage with a 3/4 bath and finished loft. - Plenty of southern facing windows for optimum natural light. - Large kitchen that opens into the dining room and then into the living room. 263 Texas Valley Rd. Sequim Wa. Sequim is a paradise for outdoor enthusiast. Hiking through pristine evergreen forests, biking along the Discovery trail, enjoying the locals farms or spending time on the nations longest natural sand spit. Sequim is located in the heart of the Rain shadow and averages around 16 inches of rain per year.